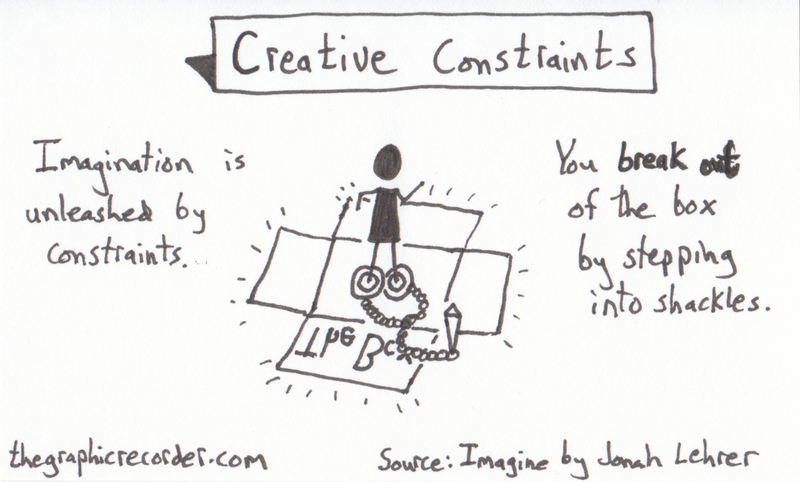 The sketch above of the concept of creative constraints was inspired by Jonah Lehrer‘s book Imagine: How Creativity Works. The sketch is part of a project titled One Card One Concept in which I attempt to sketch out individual concepts onto 3×5 note cards in an effort to both understand those concepts better and enhance my ability to recall them in the future. To see how this particular concept fits into the bigger picture of Lehrer’s book, check out these sketch notes of the first chapter.